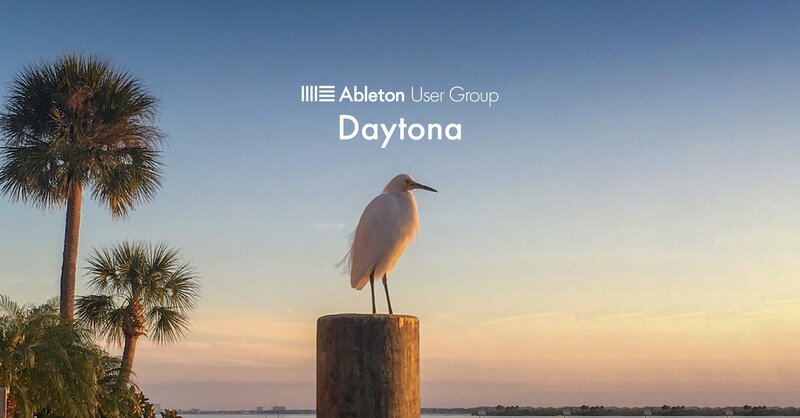 The Daytona Ableton User Group is organised by Aaron Swihart & Brad Moody. The meetings are held in English, for Ableton Live users based in or visiting Daytona Beach. We organize events with local talent, Ableton specialists and trainers. Whether you are an Ableton Live expert, novice or somewhere in between; all users of all levels are welcome to join us and learn from each other, share, collaborate and exchange ideas. Join us for artist demonstrations, expert talks and open discussions. Participants are also welcomed and encouraged to share their own work at the end of specific sessions.